Users who have the Gadget Protection Plan do not have to worry about how to fix their devices in event of damage. If this unfortunately happens due to manufacturer or user defects, SuperGeeks will fix it! The GPP covers breakdowns, malfunctions, normal wear & tear and even device damage. It takes care of the small details, including labor and parts that might need to be replaced. 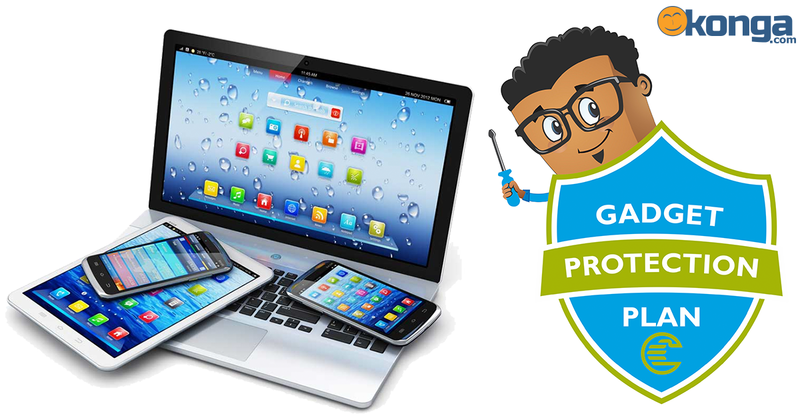 To get the Gadget Protection Plan for Konga.com, all you have to do is check for devices with the devices with the Gadget Protection Plan (GPP) logo beside them. Upon checkout, users will begin to enjoy expert support, repairs and in some cases, device replacement. If the device you want does purchase does not have the Gadget Protection Plan yet, no need to fret as more devices will added to the list. Buy peace of mind, shop GPP devices from Konga.com.